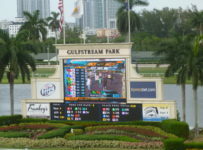 When the name at the top of a TV monitor or a computer screen is Gulfstream, many fans around the country will bet on a race even if it doesn’t have horses like Orb or jockeys like John Velazquez. That’s the biggest lesson of the second weekend of head-to-head racing between Gulfstream Park and Calder Casino & Race Course. 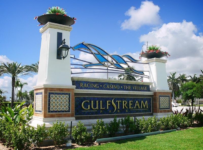 Gulfstream walloped Calder 4-1 in the battle for bettors, with a combined $5.5 million to $1.4 million in all-sources handle on Saturday July 13 and Sunday July 14. The Gulfstream numbers met the expectations of the track’s president Tim Ritvo. 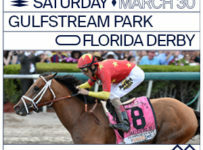 For months he has been saying that the Gulfstream brand would be a national attraction during the track’s first summer meet—although certainly not as luring and star-studded as its traditional winter meet. The July 13-14 handle numbers also raised more questions about whether Calder might scratch itself from the year-round weekend competition that is scheduled to run through next June. Until it began same-day racing against Gulfstream, Calder’s handle was in the $1.5 million to $2.0 million range most Saturdays and in the $1.0 million to $1.5 million range most Sundays. Calder officials weren’t available for comment last Sunday. 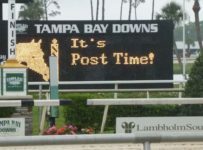 For several weeks they publicly and privately have taken a “we won’t back down” stance in the face of Gulfstream’s aggressive expansion of its racing calendar. Now, it will be interesting to see if a continuation of low handle could prompt Calder and its parent Churchill Downs Inc. to reconsider offers from Stronach Group, Gulfstream’s parent, to lease some dates and move those days’ races eight miles east to Gulfstream. That would eliminate or at least reduce the number of head-to-head race days. One expected early trend is that more than 90 percent of the past two weekends’ betting on Gulfstream races came from off-track. 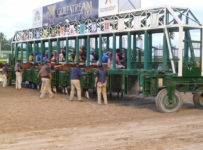 Those wagers were made by thousands of fans at tracks in and outside Florida, at OTB parlors and sports books and in front of computers using ADW accounts. Gulfstream had average daily all-sources handle of about $2.4 million for this July’s four weekend days. That is just one-third of Gulfstream’s daily averages above $7 million during its December through early April meets. The big difference is that many of the top horses, jockeys and trainers who are at Gulfstream during the winter are now at Belmont Park, Monmouth Park and Arlington Park. 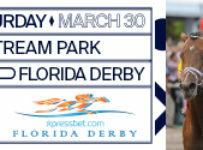 The Florida Derby winning connections of Orb, Velazquez and trainer Shug McGaughey are among those who migrated to northern tracks. Belmont’s total handle was $9.4 million last Saturday. 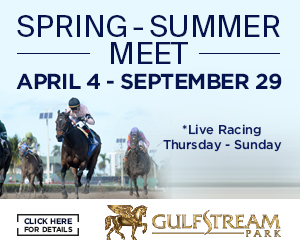 A major test of the national attraction of Gulfstream’s summer simulcast signal will start this weekend. The ever-popular Saratoga Race Course will hold its meet from July 19 to Sept. 2. Some racing industry officials are calling this summer’s Gulfstream meet “Calder at Gulfstream.” But it is likely that Gulfstream will soon gain an advantage in the quality of racing and in field size. 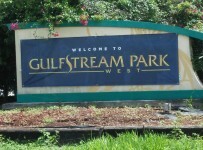 Many of Calder’s top trainers have moved their stables to Gulfstream. 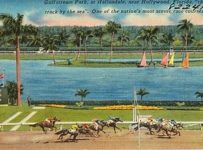 The main reasons are Gulfstream’s higher purses and the long-standing disputes between Calder and horsemen on contracts and other issues. Marty Wolfson, David Fawkes. Luis Duco. Bill Kaplan and Kirk Ziadie are among those who made the move from Miami Gardens to Hallandale Beach. Last Saturday and Sunday, Gulfstream had $487,450 in purses for 18 races while Calder had $275,000 in purses for 17 races. Gulfstream plans to increase its purses in August, Ritvo said. 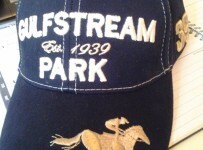 Gulfstream had a full capacity of 1,100 horses in its stables as of July 14. That is an increase from about 250 in late June. Calder had about 1,700 horses in its stables in late June. A number as of July 14 was not readily available. Both tracks had average field sizes of just over seven horses per race last Saturday and Sunday. Attendance is hard to estimate. 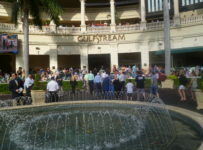 But on-site observance and reports from third parties showed that as expected it was larger at Gulfstream. At Calder, there were the usual signs of what many fans regard as run-down conditions. Several elevators and ramps on several escalators were not working during all or part of Sunday, when the crowd was smaller than usual in the fifth floor Turf Club. 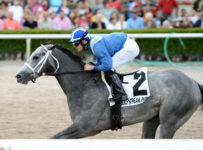 The buzz and handle should pick up a bit at Calder this Saturday when it holds the first races in the annual Florida Stallion Stakes series for 2-year-olds. 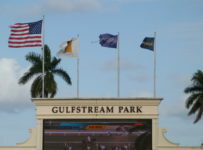 Meanwhile, there is talk that the six-race series will move to Gulfstream starting in 2014. Calder has held the series each year since its inception in 1982. This summer, Calder and Gulfstream both submitted bids for 2014 to the sponsoring Florida Thoroughbred Breeders’ and Owners Association. There are expectations that early next week the breeders’ group will announce a shift of the series to Gulfstream. Saturday’s Stallion Stakes races at Calder are the Dr. Fager for males and the Desert Vixen for fillies. Both are six furlongs on dirt with $75,000 purses.